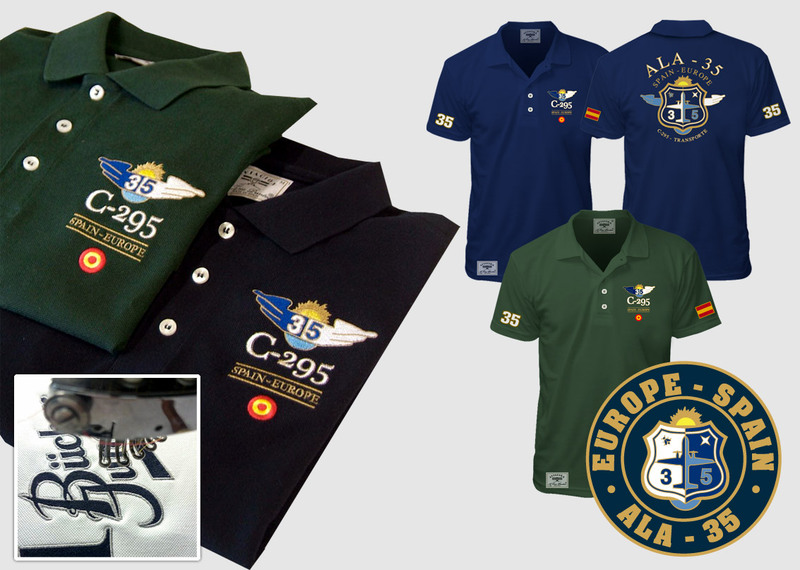 We at A Tres Puntos design exclusively various models of polo shirts for ALA 35 Squadron. If you would also like to show off a unique piece of clothing, contact us so our team of designers can transform your ideas into elegant aeronautical-themed clothing. All our creations are designed and produced in Spain with the best materials and to the highest quality standards. For more information on customized orders, contact us at: pedidos@atrespuntos.com.